Police - Niagara Falls Police Dept. Inspections. 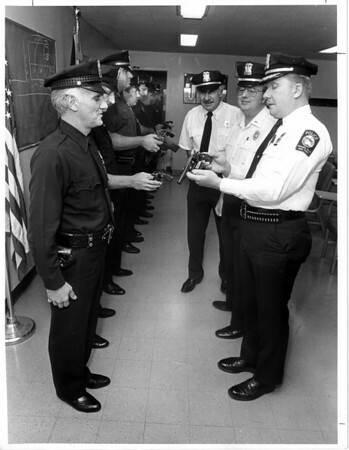 Detective Frank Coney, 21 years on the force is inspected by Inspector James Galie. From Right to left James Gallie, Lt. Richard Clutie, Lt Russell Cerminara. Photo - By James Neiss 10/15/1988.